Kelly, Smith, Edwards and Compton start. Morgan, Artus, Rigg and Isaac make strong bench. 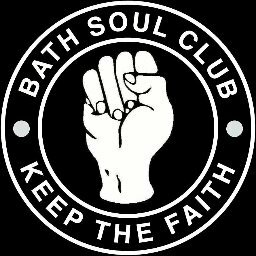 658 souls watching the Twerton goalless fare enter the 5th hour. The team appear to have a great ability to make mediocre opposition look better than they are. Really flat this afternoon. Watkins was disappointing and I was glad to see him taken off at half time but our left flank didn’t attack once all game. Possibly a lot of the players feeling a bit from Tuesday night. However I really feel Jerry gill stops playing nat Jarvis ahead of Ma4vin Morgan. Jarvis offers little threat, where I know he’s not popular with some Morgan’s height alone asked more questions of the Bognor defence. I hope for better next weekend. Morgan's height didn't ask many questions with that golden opportunity presented by Smith's perfect cross. But I think you're correct about the effects of Tuesday's match. Fully expect us to score some at Hendon next week as 3G seems to be our preferred surface at present! I wasn't at the 'meet the manager' evening to hear Jerry Gill's plan, but his record to date (ignoring Somerset Cup) is 2 wins in 13 games, during which time we have scored 11 goals, 9 of which came in 3 games and 1 of those was an own goal, which frankly isn't good enough. It is all very well saying that we have kept another clean sheet, but I would prefer us to concede 2 and score 3. This isn't so different from the run we had 2 seasons ago immediately after we had won those first 6 games on the trot and which ultimately lead to the arrival of Gary Owers. Sadly, our insistence on playing a lone striker in home games and seeming to invite the opposition to come on to us is also a bit reminiscent of that unhappy period and could have been our undoing today certainly in the first half. We fielded what on paper looked a pretty attacking team with Compton, Watkins, Edwards and Jarvis starting, but it never worked out that way and the best chances fell to Marvin who should have done better with both. Hopefully Martin is right about next week or another penalty shoot out could be on the cards! Already forwarded for the NLP - I had time to check the records during a lull in the second half. "The timer ticked over to 284 minutes without a goal at Twerton Park as Bath City played out a third straight 0-0 draw on home soil against Bognor Regis Town"
Must be sick of each other by now! LB wrote: I wasn't at the 'meet the manager' evening to hear Jerry Gill's plan, but his record to date (ignoring Somerset Cup) is 2 wins in 13 games, during which time we have scored 11 goals, 9 of which came in 3 games and 1 of those was an own goal, which frankly isn't good enough. It is all very well saying that we have kept another clean sheet, but I would prefer us to concede 2 and score 3. On the other hand, City are unbeaten since Hampton on Oct 28th, that's 8 games in all competitions. I have to say though that it seems from listening to BCIR (I can't get to many games) that we've a lot to thank Luke Southwood for. Defensively we're pretty sound, backed up by a future top flight goalkeeper, without doubt. I personally would have kept Lucas on for longer. Performance-wise he didn't stand out, but he scores goals, or gets in the right positions at least. His goals-per-game ratio wasn't bad. It looked like Jack C didn't want to come off when he was substituted. It was destined to end in a no score draw as soon as he went. I thought Bognor played brightly and really got amongst us first half. We played far too deep and ceded the midfield. There was one dreadful time when their goalie had the ball miles from goal and neither Jarvis nor Compton challenged him, which just about summed up our first half. Second half we started pushing up and getting in their faces and we started getting on top without ever building up a head of steam or looking like scoring. I know Morgan fluffed two very good chances but at least he had them. I can't remember Jarvis making the goalkeeper work or indeed any of the centre halves. We simply do not have any strikers on the books. We have forwards. I am not a fan of bringing players back but in the present circumstances I'd welcome Pratty back with open arms. I agree with Stillman Junior would have preferred Lucas up top to Jarvis. His workrate was miles better, seemed to have a good attitude, got in good positions and had a half decent shot on him. We put the Bognor defence under some pressure with the late introduction of Marv even though he should have put away the one on one with the keeper . We need to remain patient as it must be difficult for Jerry when he has to re shuffle the pack every week due to injuries and the return of players including loanees. My man of the match was Kev Amankwaah who looked solid. Our man of the match was Tom Smith who we thought was head and shoulders (metaphorically) above anyone else in the outfield. I was referring to the fact that he offered more of a target. Because he's taller than Jarvis? yes so he's easier to see. needless to say I am not happy about our striking options at the moment. Like Junior I thought Lucas had more to offer. I know Jarvis has been told to make runs away from the play to draw defenders away but I do not understand how that works with a lone striker. We play with pacey wingers and overlaps from full backs, especially down the right - yet we have no-one in the box or we have Jarvis being marked out the game by 2 CBs. Even when he does win a header he has a head like a sheriff's badge so it's never in danger of going in. If jerry wants to play with Edwards, Watkins/Pearce on the wings then he needs to have some options for them in the box. Everytime we have an opportunity to cross there is only 1 option and its incredibly predictable and easy to defend. If we had someone playing with or a bit closer to Jarvis we might look a bit more threatening. Instead we are setting out not to get beat, even against lower ranked oppositon at home! Unsurprisingly, I don't disagree with the general tone of the comments on here. I thought that Bognor Regis were very good value for the draw if not a win. Indeed, I would suggest anyone watching them as, not only are they not bad going forward but also they really fire the ball at each at the back not least at the keeper. I wonder how many own goals they have had this season. I have to admit that most of our team look really good on the whole. Southwood is excellent, of course and the back four look solid even with Amankwaah out of position - possibly because of - and with Kelly doing well on the left. Richards is solid in front of them and I was pleased to see Gill trying to accommodate Pearce and Smith later on which was a statement of intent. Opi was a deserved man of the match. I can only come to the conclusion that the issue lies up front. I haven't seen anything from Jarvis that backs up his starting positions and Marvin isn't an impact sub. I forget what is wrong with Nick but he sin't going to get us a load of goals. Didn't we have a very long period without a 0-0 over a couple of seasons a while back?